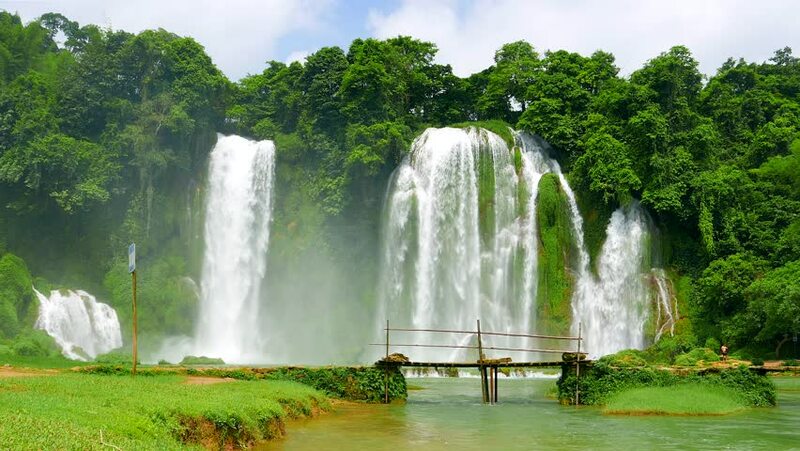 hd00:25Ban Gioc Waterfall - May 2015: Visitors crossing wooden bridge by the waterfall. Vietnam. hd00:21Timelapse of water fountain in Amsterdam. 4k00:19Pond with a fountain among trees.